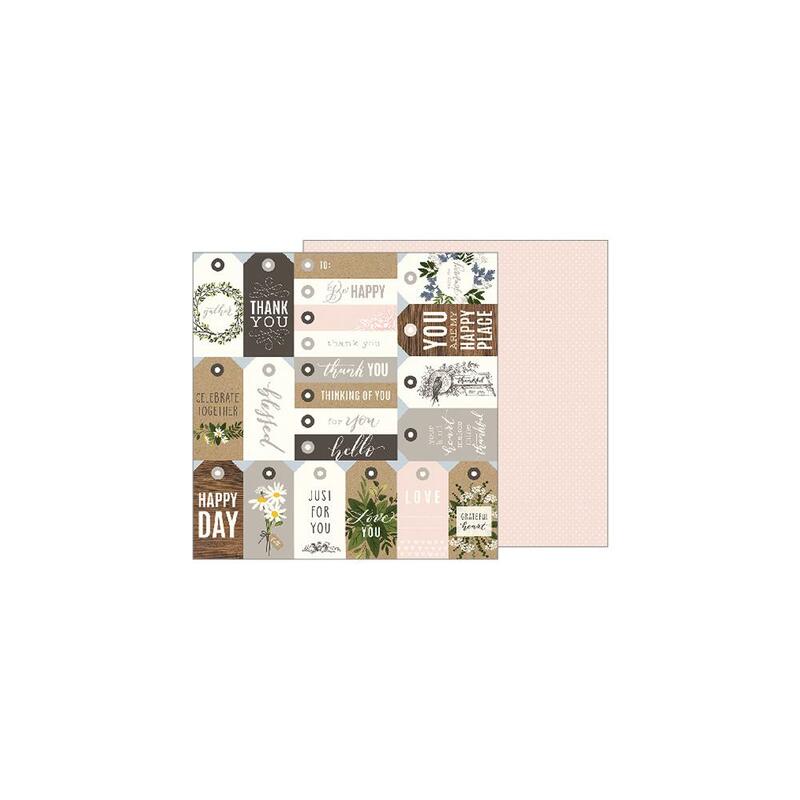 This 12x12 double sided paper has an assortment of Tags that can be cut out on the frontside. The reverse side has a Pink Swiss Dot Pattern. Part of the Heart of Home Collection by Jen Hadfield / Pebbles Inc.